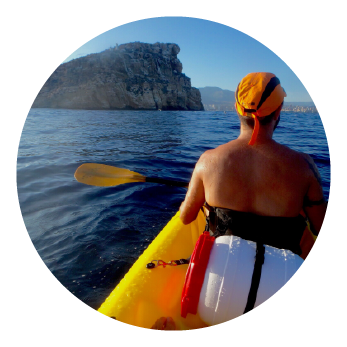 It takes about 45 minutes to get paddling unhurried. Upon arrival we disembark (essential footwear we can get wet) and a few minutes walk up to the summit. From there the views are truly magnificent! We can also give us a refreshing swim and snorkel in crystal waters.